American Eagle is American online shop of the qualitative stylish clothing, footwear and accessories. Comfortable casual products at the reduced prices are waiting for you in this online store. 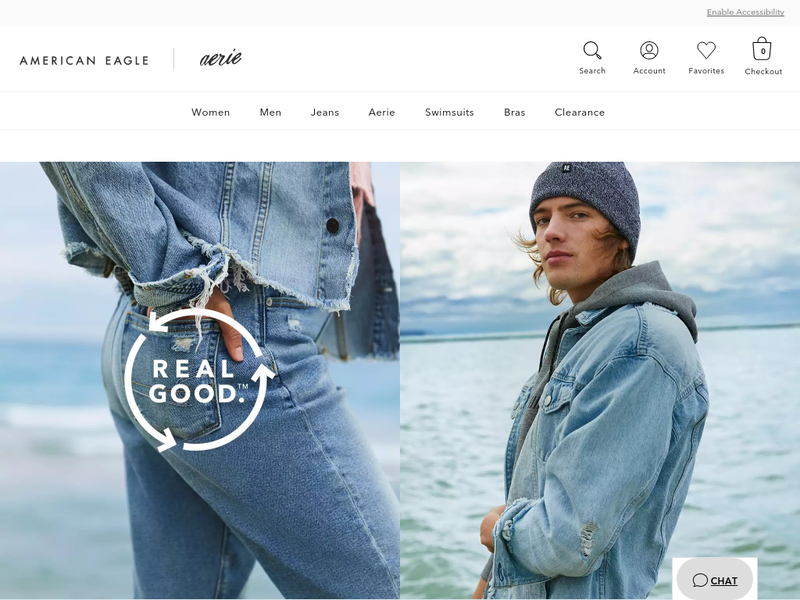 You will be able to purchase the following product categories in American Eagle: tops, dresses, underwear, swimsuits, jeans, sweaters, hoodies, sweatshirts, jackets, shorts, pants, skirts, shoes and various accessories.